This post was originally published on the new Swedish version of our sibling blog Direct2DellEMC, and while I can’t read Swedish, the images immediately caught my eye. So, I asked the team if we could have an English translation I could share with our readers here. It is about the latest work of photographer Martin Edström who we previously featured for his work on an immersive 360 view of the world’s largest cave. Like his fellow National Geographic explorers Mike Libecki and Lars Larsson, he’s using Dell technology to go places and do things that most of us would otherwise never get to see and experience – this time it’s the world’s first virtual reality (VR) experience with lions. Getting great footage of lions has always been a big challenge to photographers, but it’s an artform that’s been perfected over the ages. Documenting the daily lives and drama from inside the pride, in a VR experience – that’s something that no-one had ever done before Swedish photographer Martin Edström went to Zambia with his crew to do just that. This is his story about a crazy idea that turned into a prestigious project for National Geographic – and ended up being one of their most popular 360 videos. 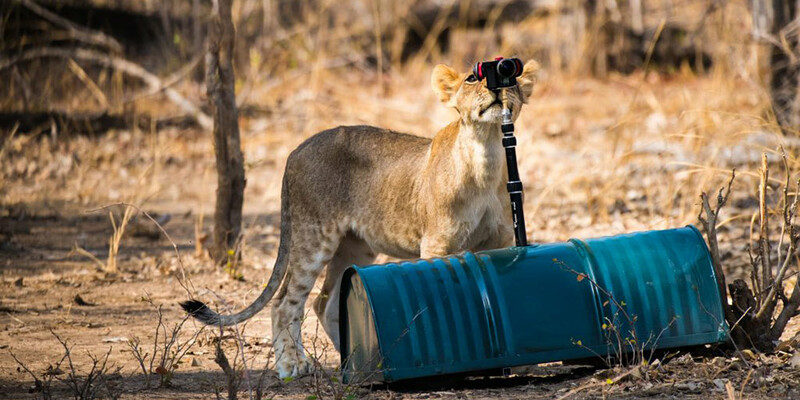 After a short research trip and months of planning and getting the necessary tech ready – Edström and his team from IVAR Stockholm constructed several new camera rigs to be able to approach the lions – the team went to Zambia for a month of capturing 360-footage from inside the pride. In the end, the team brought about a handful of different 360-camera solutions. They had to make sure they would be able to get exactly the kind of footage they needed to produce an immersive VR experience – that puts the viewer using a VR headset right in the middle of the pride, even if they’re sitting by their desk or are lounging in their sofa. Martin Edström has a long history of pushing the boundaries of technology for storytelling – among his previous projects is an acclaimed 360-experience from the inside of the world’s largest cave, Son Doong in Vietnam – that was recently showcased by Facebook and Oculus as a WebVR highlight at the Facebook F8 Dev Conference in San Francisco. It’s no coincidence that Edström is nicknamed “the VR guy” by the folks at National Geographic. 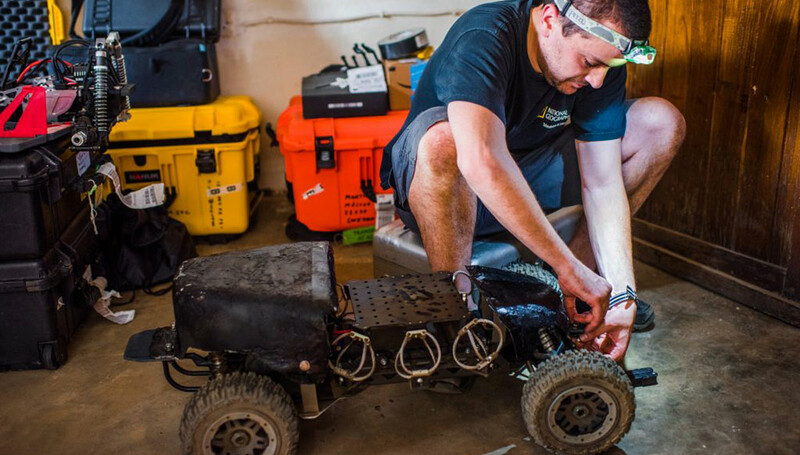 Getting a camera into a pride of lions is impossible without the right gear – in this case, an armored remote controlled vehicle. Mike Shepard of the National Geographic Remote Imaging team is assembling the equipment on location in South Luangwa National Park. Approaching wild animals is not an easy thing, you need the right experience as well as the right gear – especially since Edström and his team put the safety of the lions first. They collaborated with the scientists of the Zambia Carnivore Programme to do this right, but getting the 360-camera inside the pride turned out a bigger challenge than anticipated. Lions aren’t used to cameras, and initially, they did not appreciate the company of the intrusive camera rig the team had mounted on a radio-controlled car (above). The lions got suspicious and turned on the vehicle – the team suspected that it looked too much like prey. The solution? Cover the rig with a sawed-in-half oil barrel. A young lion of the Mwamba One pride walks up to inspect the camera belonging to National Geographic Explorer Martin Edström’s team. Habituating the lions to both the remote controlled camera car, as well as the camera itself, was a long process of trial and error. 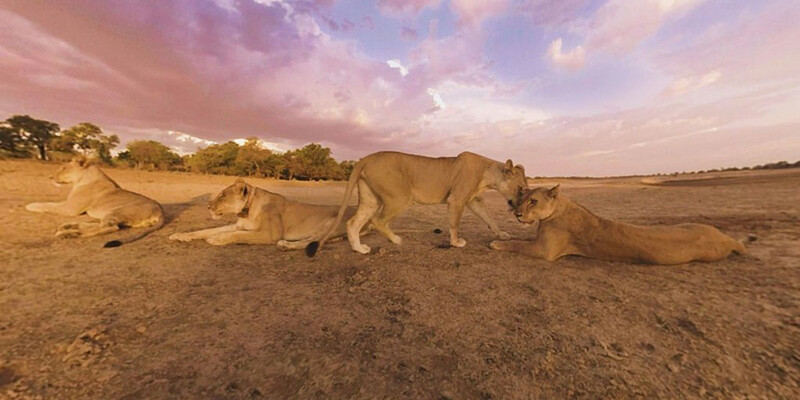 Eventually, the lions of Mwamba One pride accepted its presence – making it possible for the team to film immersive 360 degree footage from within the pride. Getting great images of lions from a distance using a telephoto lens is one thing, putting a 360-camera in the middle of their everyday lives turned out to be quite another. And doing it in the challenging conditions of the Zambian wilderness, with pressing heat and a cumbersome daily trip to and from the base camp made for an even bigger challenge. It’s in circumstances like these – far away from spare parts and support technicians – you really need to be able to rely fully on all other pieces of technology. And you need to be prepared to handle the unexpected. One typical example is the strict backup routine the team enforced. Every day they made multiple copies to external drives and mirrored the collected material on three different computers – to make sure that nothing would be lost, no matter what would happen. In the field Martin used his portable Dell Precision workstation and the durable Dell Latitude Rugged Extreme 12, making sure the filmed material was synced using torrent technology. “My Precision laptops have been trusted companions accompanying me on trips to the world’s biggest cave in Vietnam and to faraway islands outside of Yemen – as well as to the lions in Zambia. Since I work mostly in 360 and VR, technology comes with an intense processing workflow – with big files and lots of rendering. I need the most powerful laptop available because when you get back after a 17-hour work day, you don’t really have the time to handle any issues or unnecessary waiting for file transfers. You could essentially make the case that my Precision gives me more and better-quality sleep when I’m out on assignment,” says Edström. 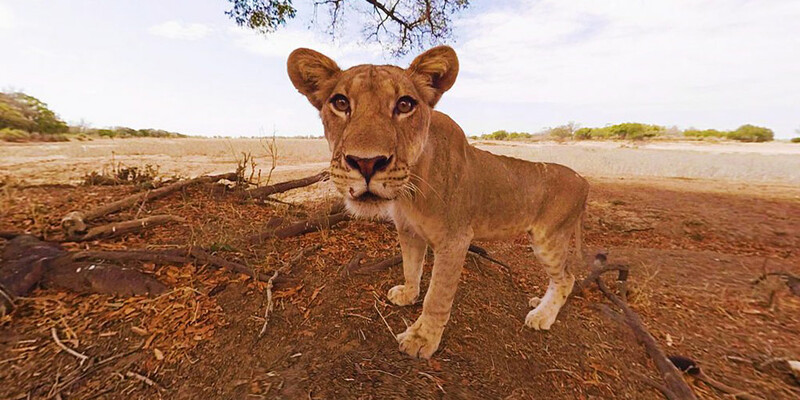 All in all, Edström and the team spent more than a month following a pride of lions and collecting the material that ended up a four-and-a-half-minute long VR film for National Geographic. After a month in the field, they spent about two months editing and rendering the final movie, and most of that job was done on Edström’s Dell Precision 7910 Workstation back in his studio in Stockholm. The project was undertaken in cooperation with the National Geographic Society and scientists from Zambian Carnivore Programme. The movie is published in its entirety on the National Geographic Facebook page, as well as on YouTube (below). It’s also available most places where you can watch VR movies.